Robin Rozman's background is diverse ranging from criminal justice to fundraising. 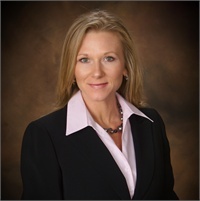 Her career in financial services began in 1995 and was nearly short lived until she found her forever firm at Freedom Wealth Alliance in 2005 (formerly Rozman Wealth Management). She was finally able to satisfy her moral compass and her career goals, with a firm that first and foremost, does the right thing for their clients and associates. Robin's focus is to deliver information to our clients that are both relevent and important to them. She develops materials for clients to inform and educate them as they make important decisions on how to select a Wealth Advisor and investing their hard earned money. Robin also calls upon her diverse background and 20 years of experience to find the most effective ways of maintaining a compliant business practice. As Registered Investment Advisors, Freedom Wealth Alliance is held to the highest standards in regulatory obligations. Robin understands the value of doing what is right by the client and going by the book. Like most of us with a family and busy schedule, Robin finds that maintaining an efficient system at work and home works best but loves the challenge of something new. Cooking is one way for her to be organized yet creative. Robin's best childhood memories are ones when she was riding her horses and exploring the wide open spaces of her family's farmland. Robin loves a gourmet dinner with a nice glass of wine and the company of her husband. Add in a tropical location and that is her heaven on earth.